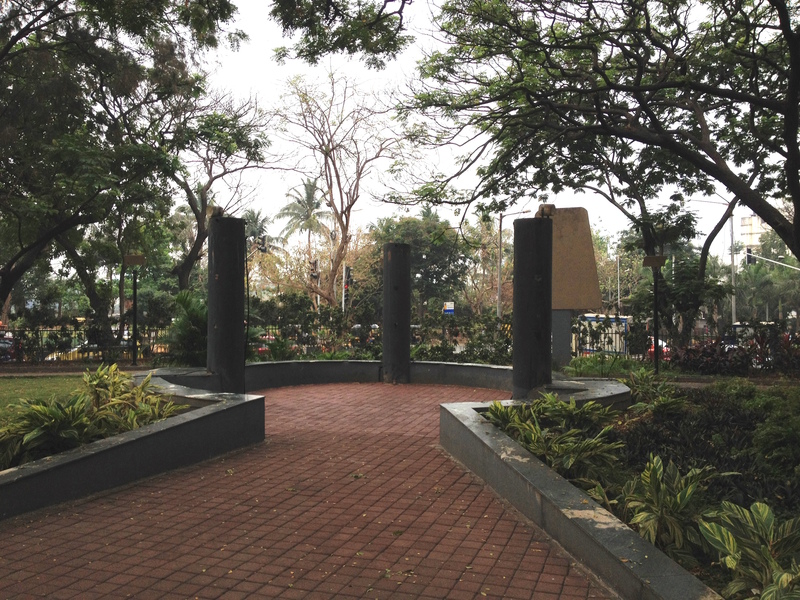 Pushpa Narsee Park is a small triangular park, located next to Juhu Joggers’ park and the Bhailal Maidan. 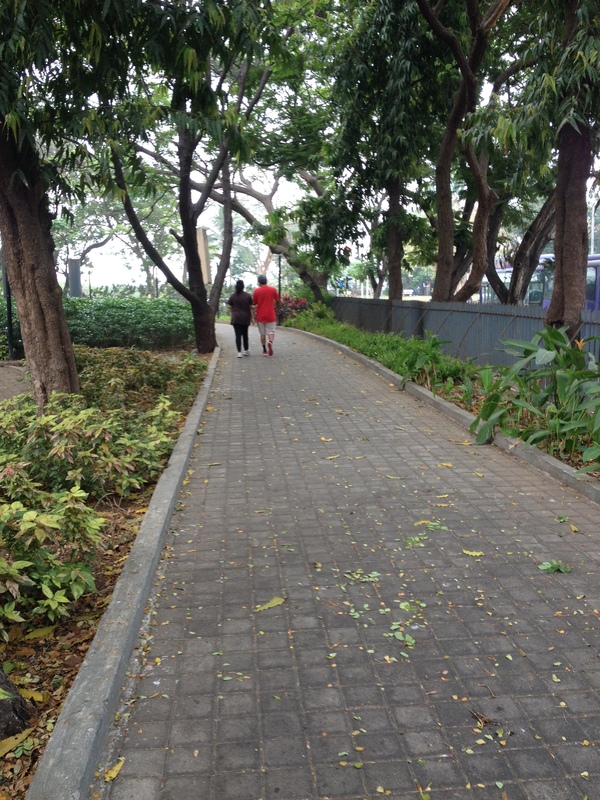 Small but interesting park as its probably one of the first cycling parks in Mumbai. Yes a cycling park! There is an entry fee of Rs. 10 and it opens at 7 a.m. Here’s a aerial picture of the park and its address. The entrance to the park is not a happening one, first of all its not from the main road so you have to use the secondary road thats behind. If you go in the mornings this road is parked with goods carriers on both sides and you will find its owners doing their morning chores. There are paved walking tracks and a dedicated cycling track that goes around the periphery. This track is elevated at certain places, so as to not obstruct the walkers below and also not to eat up the lawn space. If you don’t have cycles they are available for you on rent too. 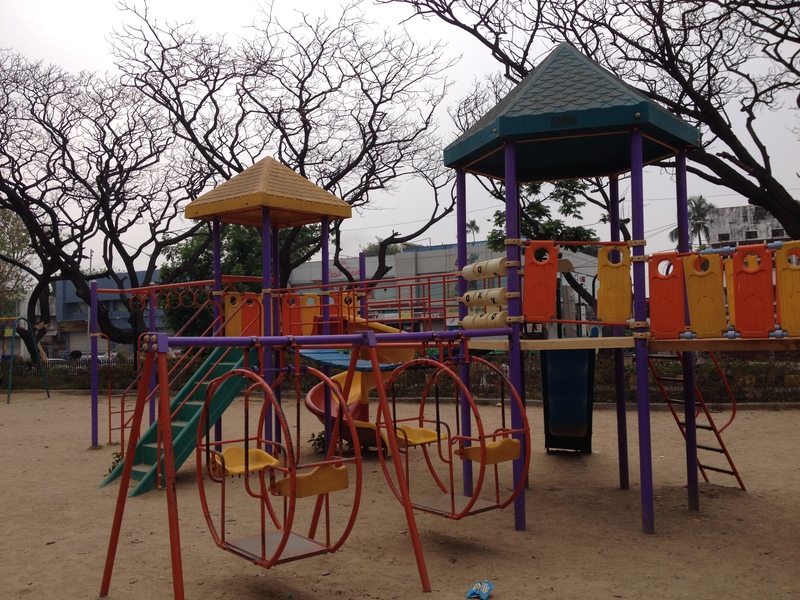 There are various children’s activities organised here. I saw poster of this past summer’s story telling and acting sessions for kids. 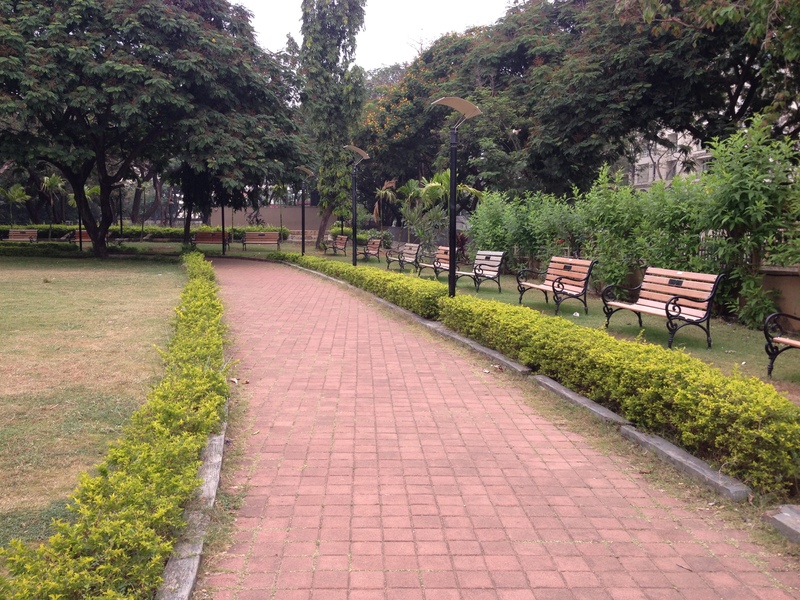 Centre to this garden is a large lawn space thats dotted with seating benches all along. 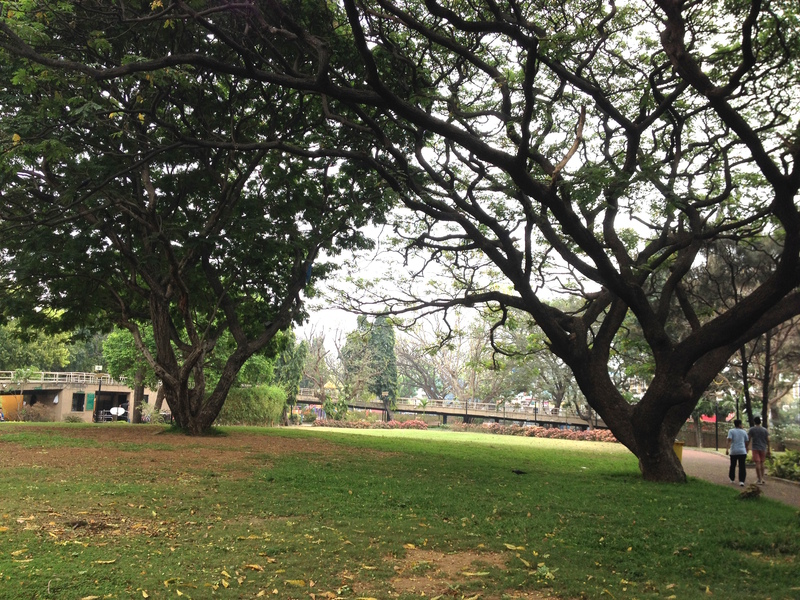 This green space has many large trees, all of them inviting you to have a picnic under them. But that seems not possible as food is not permitted inside. 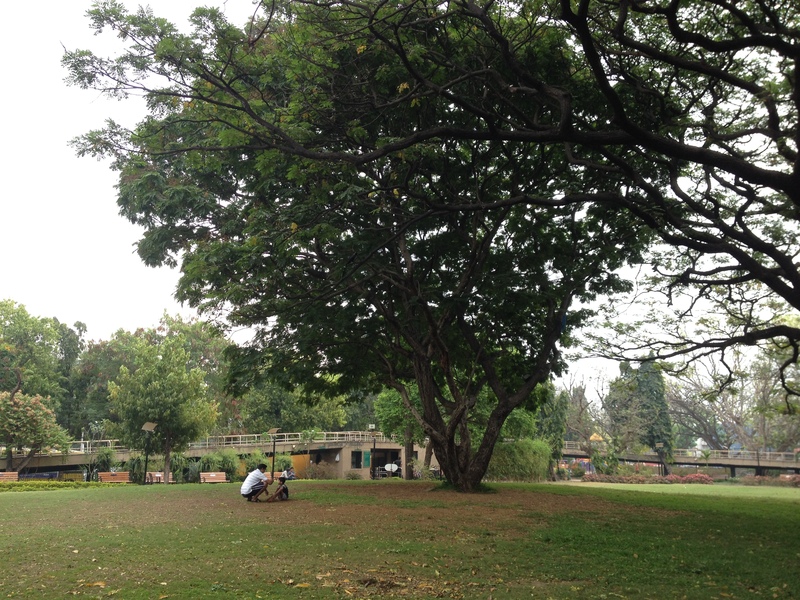 Here a father and son spending quality time under one such canopy. A place sort of like an amphitheatre for gatherings misses people this morning. At one of the corners lie the childrens play area which looks spanking new to me. A wonderful place, we need more of these in our city.